Submit to 'In Retrospect' by August 7! The Harvard Crimson is no longer accepting submissions. “In Retrospect” will be an online collection of essays that revolve around the theme of childhood. You can write about books that resonated with you as a kid, the kinds of movies you wish existed growing up, cartoons with young leading characters, songs that will never get old, etc… As long as they have to do with art and childhood, it’s fair game. All Harvard students are encouraged to submit—we want to hear what matters to you! Submit here by August 7. Submissions should be 500-1200 words long. 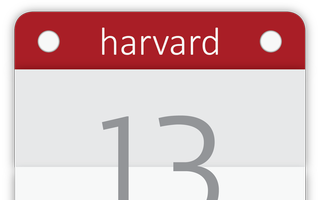 You must be a Harvard student or faculty member to write for this supplement. Email grace.li@thecrimson.com with any questions or concerns. Brevia, a new undergraduate research journal, is set to publish its first issue next semester. The journal gives students the opportunity to showcase their new research in under 500 words. The Undergraduate Council Student Initiatives Committee received 15 entries to its newly formed grant program rewarding student initiatives after extending the submission deadline to Sunday night. Although Harvard is the alma mater of renowned directors ranging from Terrence F. Malick ’65 to Damien S. Chazelle ’07, it did not have an official student film festival until last year, when the Harvard College Film Festival was founded. This year, the festival, which will run from April 13 to 18, hopes to explore the ways young filmmakers have a creative, expansive impact.